We encourage every family to attend Parent Teacher Conferences October 24 – 35 to meet with your child’s teacher and discuss the progress your child is making in the classroom. October 24 during the day staff will have Professional Development. Then conferences are Wednesday evening and all day Thursday. Kindergarten & Grade 1 11:00 a.m.
Grade 2 & Grade 3 11:30 a.m.
Grade 4 & Grade 5 12:00 p.m.
Grade 4 10:15 - 10:45 a.m.
Grade 2 1:00 -1:30 p.m.
Grade 3 1:45 - 2:15 p.m.
Harrison Elementary is partnering with Janesville Mobilizing 4 Change (JM4C) to recognize Red Ribbon Week. Red Ribbon Week is a nationally observed campaign to bring awareness to drug abuse. In recognition of this, Harrison will have Crazy Sock Day to "Sock it to Drugs" on Wednesday, Oct. 17. All students will also receive a bookmark that will be provided by JM4C and our school will receive a banner of recognition. This day will provide an opportunity to continue talking about the dangers of drugs. Picture Retake Day will be on Friday, November 2nd. Please, have your child’s photo taken if they were absent on our original picture day. If you are having retakes of your child, please return your original picture packet for a retake. If you wish to apply to have your student transferred/placed in another school within the district next school year (2019-2020), please ask the school office for a School Transfer/Placement within the School District Form (yellow). Completed forms will be accepted from December 1 through December 15, 2018 only. Submit your Request for School Transfer/Placement within the School District Form (yellow) to your home school attendance area office. Parents applying for a Request for School Transfer/ Placement within the School District will be notified of approval or disapproval by January 15, 2019. Parents applying for a Re-quest for School Transfer/Placement within the School District for incoming Kindergarten students will be notified of approval or non-approval after they have enrolled their child during the Kindergarten Enrollment period with the New Student Enrollment Office. If you have questions, please contact the school office of your home school attendance area. 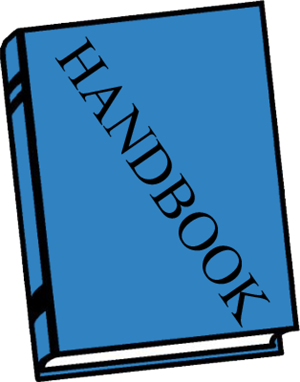 The right to request the amendment of the student's education records that the parent or eligible student believes is inaccurate or misleading. Parents or eligible students may ask Janesville School District to amend a record that they believe is inaccurate or misleading. They should write the school principal, clearly identify the part of the record they want changed, and specify why it is inaccurate or misleading. If the district decides not to amend the record, the district will notify the parent or eligible student of the decision and the right to a hearing regarding the request for amendment. Additional information regarding the hearing procedures will be provided to the parent or eligible student when notified of the right to a hearing. School District Residents, If you have a child turning 5 (five) years old prior to September 1, 2019 and they are not currently enrolled in a School District of Janesville Pre-school for Janesville (P4J) or Early Childhood (EC) program it is time to enroll in the Janesville Public School District. Enrollment will take place at the Educational Services Center located at 527 S. Franklin St. (administration building) in the New Student Enrollment office. You may enroll anytime during the two week period. 8:00 a.m. – 5:00 p.m. Requests for School Transfer/Placement within the School District (yellow forms) for incoming kindergarten students should be submitted through the enrollment process. Forms are available at all schools, as well as at the Educational Services Center. If you have questions regarding this process contact Deen Hartley at 743-5152. The status of re-quests will be determined by January 15, 2019 if they are turned in by December 14th. If you have a student currently attending a school under a School Transfer/Placement within the School District, it does not automatically qualify your kindergarten student for attendance at the same school; however, siblings are generally assigned to the same school. In order for your kindergarten student to attend the same school as a sibling, you must submit a request during the Kindergarten Enrollment time frame. If you know of a child in your neighborhood or from community activities that would be entering kinder-garten for the 2019-2020 school year, please pass this enrollment information on. Non-District Residents, If you are a non-resident of the School District of Janesville and have a child turning 5 (five) years old prior to September 1, 2019 and would like your child to attend the School District of Janesville you must also apply for OPEN ENROLL-MENT. The timeline for Open Enrollment is February 4 to April 30, 2019. Currently open enrolled non-residents in a P4J or EC program do not need to re-apply. If you have questions regarding the Open Enrollment process, please contact Deen Hartley at 743-5152. 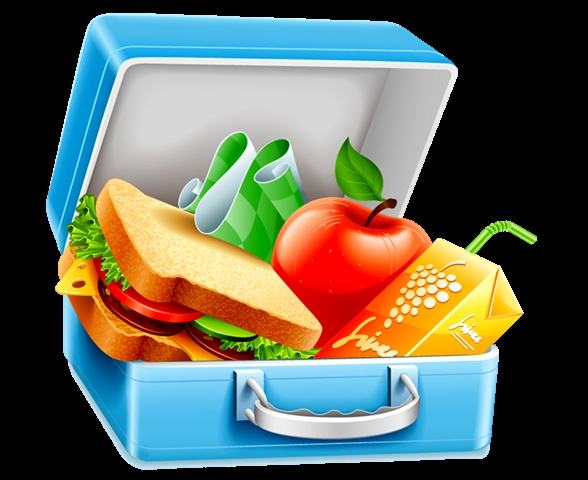 If you purchase hot lunch as a staff member or adult eating lunch with a student, please note that the price has increased to $4.00 per lunch. The price for a student hot lunch remains $2.25. The Salvation Army will be distributing winter outer wear at no cost for families on Saturday, October 27, from 9:00 a.m.–3:00 p.m. Children must be present to receive items. Proof of residency is necessary. All items are free, clean and available to all ages. The Salvation Army is located at the corner of Glen and Sutherland. All Students and Staff will make a pledge to keep our school Bully Free. Look for the pledges in our main hallway. Tuesday, October 23 we will take part in the nationwide Unity Day by wearing ORANGE to school. Monday, December 3 – Orchestra and Band Students will perform at Marshall Middle School. The performance begins at 5:30, with students arriving at 5:00pm. Friday, February 8 - Band Students are invited to perform with the Craig High School pep band at a basketball game. Students will meet at Craig around 6:00pm and should be finished around 7:30pm. Wednesday, April 3 – Orchestra Students will be participating in an “All-City Strings” at Parker High School. The performance begins at 7:00pm, with students arriving around 6:00pm. Wednesday, June 5 – Orchestra and Band Students will perform in the Spring Concert at Harrison School. The concert begins at 10:00am and will last approximately 45 minutes. Traditionally, the approaching holidays are filled with music. Can you imagine December festivities accompanied by silence? Your student has begun the journey beyond simply listening or enjoying music, as important as they are, towards becoming a music performer; an artist in a sense, open to a wider understanding and appreciation of all types of music. As you and your family enjoy all the musical opportunities this season has to offer, please continue to encourage the student musician, who is beginning to take an active part in making music as an art form and discovering their talent. The music department sends best wishes for a healthy and happy holiday season to you and yours. Through music our children are living a richer life filled with expression, appreciation and creative growth. Janesville city ordinance forbids dogs, cats, horses, or other animals from being on playgrounds or school grounds. Please keep Your pets at home or in the car when you drop off or pick up your child. Thank you! The time is always right to do what is right- Dr. Martin Luther King Jr. This includes boots, snow pants, hats, mittens, scarves, and, jackets. If you are missing items, please feel free to check the lost and found, or encourage your child to do so. A reminder to our families about weather-related closings and delays notifications: The Infinite Campus Messenger System will serve as our primary means of notification. We urge you to supply your student’s school with your contact information and updates as changes occur. WCLO and additional radio and TV stations will be contacted regarding school closing or delays. Closing and delay information will be posted no later than 6:00 a.m. Decisions on cancellation of schools are made in coordination with both the Janesville Transit System and Van Galder Bus Company. They are also based on the passage of city streets, safety of rural students, and information from the county highway and city street departments. The final decision to delay or close rests with Superintendent Steve Pophol. Parents always have the option of keeping their child home due to inclement weather, in which case your child will receive a principal excused absence. You must call our school to report your decision to keep your child home. The Superintendent also continues to have the option of delaying the start of school by one hour. Elementary school classes will begin at 9:20 a.m., as well middle and high school classes will begin at 9:00 a.m. Special education and early childhood classes will also report at 9:20 a.m. Elementary breakfast will not be served when school has been delayed. Schools do not close early to avoid incoming snow or ice storms. This policy is to protect children who may get home before their parents and have no access or supervision at home. There will be no athletic contests and practices on days school is called off for weather reasons. The gyms will be closed. JANUARY 2019 NEWSLETTER Harrison Elementary 760 Princeton Rd., Janesville, WI (608)743-6400 Jessica Grandt, Principal. No School, January 21, 2019, Martin Luther King Day. March 1, 2019, Elementary Work Day, and March 6-8, 2019, Conferences. Request for School Transfer/Placement (Intra District Transfers) Within the School District of Janesville Attendance Areas Due to Move: If you move within the School District of Janesville during the school year and wish to remain at your current school, please ask the school office for a Request to Remain in Current School Following Move to New Attendance Area Form (blue). Complete the form and return it to the school office. Due to Parent Choice: If you wish to apply to have your student transferred/placed in another school within the district next school year (2019-2020), please ask the school office for a School Transfer/Placement within the School District Form (yellow). Completed forms will be accepted from December 1 through December 15, 2018 only. Submit your Request for School Transfer/Placement within the School District Form (yellow) to your home school attendance area office. Parents applying for a Request for School Transfer/ Placement within the School District will be notified of approval or disapproval by January 15, 2019. Parents applying for a Re-quest for School Transfer/Placement within the School District for incoming Kindergarten students will be notified of approval or non-approval after they have enrolled their child during the Kindergarten Enrollment period with the New Student Enrollment Office. If you have questions, please contact the school office of your home school attendance area. Kindergarten: Anna Baumel, Zoey Blazer, Elinor Braun, Elijah Gabbard, Adelynn Lambert, Paytin Moreno, Wryly Sellers, Lucy Smith. Grade 1: Hadley Boelk, Paige Callahan, Brayden Canada, Grayson Fisher, Emery Folker, Kinnley Laures, Cheyanne Lowery, Bradley Mock, Kyle Ott, Dominic Pietranton. Grade 2: Cooper Davis, Mason Genung, Naomi Hansen, Isaiah King, Elizabeth Leir, Paige Malterer, Phoenix Maurer, Charlie Moore, Mykyl Moreno, Benjamin Spielmann, Caitlyn Stacey, Augustus Sterk, Parker Weins. Grade 3: Devin Blazer, Gunnar Bonk, Jackson Fisher, Taylor Goodger, Kendyl Laures, Addison Petersen, Ashton Smith, Tiberius Sterk, Carter Stonewerth.Grade 4: Chase Barr, Austin Coughlin, Landen Henkel, Seth McCulloh-Hacek, Jacob Petersen, Mia Pietranton, Lucas Schork, Gabrielle Smith. Grade 5: Ally Cole, Anna Cole, June Eddy, Sydney Esser, Cayson Gackstatter, Kayleigh Norland, Ella Thompson, Lily Thompson. Some of our awesome Harrison Hawks spent time ringing bells for the Salvation Army. What a great way to give back to our community! MOVING If you will be moving from your current home address, please contact Harrison school office at 743-6406 as soon as possible to determine what paperwork you will need to fill out for your child to continue attending his/her current school. Please note: if you are moving to an address outside the School District of Janesville, in most cases your child is eligible to continue attending the School District of Janesville as long as you complete the appropriate paperwork within the required timeline. If you have any questions about school placement for a particular address, please contact Open Enrollment Specialist Deen Hartley at 743-5006. The administrative services office is open year round. If you are the parent of an elementary student and will be moving over the summer months when the elementary schools are closed, please contact Open Enrollment Specialist Deen Hartley at 743-5006 or the new student enrollment office at 743-5152 to complete the appropriate paperwork. Thank you for supporting Harrison at our Culver’s Scoopie Night. Proceeds from the sales contributed towards the Fifth Grade Chicago field trip. The December Scoopie Night raised $650.08. Our fifth graders enjoyed serving the customers and giving back their time in appreciation for this great trip. Our next Scoopie night will be Wednesday, February 6, 2019. If during the school year, you move outside the School District of Janesville and you wish to remain at your current school please contact the Open Enrollment Specialist at 743-5152 and request a tuition waiver form within two weeks of your move. This will allow you to be eligible to attend your current school for the remainder of the current year tuition free. To continue attending the School District of Janesville after the 2018- 2019 school year, you will also need to complete an open enrollment application. Application instructions are provided to the School District of Janesville by the Department of Public Instruction (DPI) and should be available by late January 2019. This year applications will be accepted February 4 – April 30, 2019. If you have questions regarding Open Enrollment or Public School Choice, please contact the Open Enrollment Specialist at 743-5152.
rade 4 & Grade 5 12:00 p.m.
Parent-Teacher Conferences are fast approaching. Below are some important dates for conferences. Wednesday, March 6th from 4:00 – 8:00 p.m.
Thursday, March 7th from 8:00a.m. – 6:00 p.m. If during the school year, you move outside the School District of Janesville and you wish to remain at your current school please contact the Open Enrollment Specialist at 743-5152 and request a tuition waiver form within two weeks of your move. This will allow you to be eligible to attend your current school for the remainder of the current year tuition free. To continue attending the School District of Janesville after the 2018- 2019 school year, you will also need to complete an open enrollment application. Application instructions are provided to the School District of Janesville by the Department of Public Instruction (DPI) and should be available by late January 2019. This year applications will be accepted February 4 – April 30, 2019. If you have questions regarding Open Enrollment or Public School Choice, please contact the Open Enrollment Specialist at 743 -5152. The book fair is coming to Harrison! Wednesday, March 6, 4:00 - 7:00 p.m.
Thursday, March 7, 8:30 a.m. - 5:00 p.m.
Birthday invitations are only able to be passed out here at school if your child’s whole class is invited. If you are not inviting the whole class, please distribute invitations off campus. Thanks, in advance, for helping to avoid hurt feelings of students who aren’t included in your child’s celebration. A student directory is complimentary with all HPTO memberships and can assist with distributing invites off campus. Janesville City ordinance forbids dogs, cats, horses, or other animals from being on playgrounds or school grounds. Please, keep your pets at home or in the car when you drop off or pick up your child. Thank you! If you purchase hot lunch as an adult eating lunch with a student, please note that the price has increased to $4.00 per lunch. The price for a student hot lunch remains $2.25. If you will be moving from your current home address, please contact Harrison school office at 743-6406 as soon as possible to determine what paperwork you will need to fill out for your child to continue attending his/her current school. Please note: if you are moving to an address outside the School District of Janesville, in most cases your child is eligible to continue attending the School District of Janesville as long as you complete the appropriate paperwork within the required timeline. If you have any questions about school placement for a particular address, please contact Open Enrollment Specialist Deen Hartley at 743-5006. The administrative services office is open year round. If you are the parent of an elementary student and will be moving over the summer months when the elementary schools are closed, please contact Open Enrollment Specialist Deen Hartley at 743-5006 or the new student enrollment office at 743-5152 to complete the appropriate paperwork. Fifth grade band students at Harrison are looking forward to playing in their first ever Pep Band performance on Friday, February 8 at Craig High School. Students will be playing “Go Big Blue” and “The Hey Song,” and will be able to listen to the high school band members play some of their pep band music as well. Students should arrive at Craig High School at 6:00 p.m. and enter through door #36. This will be a great opportunity for students to see and participate in a fun event that they will be able to be part of when they get to high school. After Mini Pep Band, we begin preparations for our next concert. Please mark your calendars for Wednesday, June 5th, at 10:00 a.m. for our Spring Concert in the Harrison School Gym. Band students will also perform at the Harrison fifth grade Promotion Ceremony on the evening of Monday, June 10th. More information will be sent home as we get closer to the events. Orchestra students are also hard at work and have begun preparing selections for their next concert. Please mark your calendars for “All-City Strings,” which will be held on Wednesday, April 3rd at 7:00 p.m. in the Parker Gymnasium. This concert brings together all string students from the city of Janesville! The orchestra students will also perform on Wednesday, June 5th, at 10:00am for the Spring Concert in the Harrison School Gym, and at the Harrison 5th Grade Promotion Ceremony on the evening of Monday, June 10th. More information will be sent home as we get closer to those events. As always, please feel free to contact me with any questions or concerns that you may have. Thank you again for your continued support of our student musicians! Liza Witt, Academic Learning Coach, who wrote a Janesville Education Foundation grant on behalf of our young readers here at Harrison School. We found out this morning that the grant was fully funded! With the money we will be able to purchase over $1500 worth of series books, levels A-J. How awesome is that?!? Congratulations, Liza. Thank you for your continued dedication to high quality literacy instruction and to ensuring that every one of our students develops a true joy and passion for reading! Way to go! We look forward to seeing you during our spring parent teacher conferences, which will be held on Wednesday, March 6. 4:00 - 8:00 p.m. and Thursday, March 7, 8:00 a.m. – 7:00 p.m. 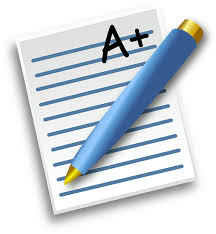 This is a wonderful time when you can learn more about the great progress your child has made already this year. It is also a time when you can talk with your child’s teacher about any concerns and ask any questions that you might have. We appreciate our continued support of your child’s education and our school. I would like to invite all Harrison family and friends to the book fair sponsored by the PTO. There are going to be a wide variety of books that you and your children are going to enjoy. The book fair will be open for visits during the following times: Wednesday, March 6: 4:00 – 7:00 p.m. Thursday, March 7, 8:20 a.m. – 5:00 p.m.
Thursday, April 25 4:00 – 5:00 p.m.
KG & Grade 1 11:00 a.m.
Grade 4 & Grade 5 12:00 p.m..
School attendance is important. The State of Wisconsin allows parents to excuse their student from school for up to ten days. If your student has missed school for medical, dental, therapeutic, or counseling appointments of any type, please bring documentation from the appointment, as these appointments do not count against student’s attendance. The 2019-2020 District Calendar has been approved by the school board and is available on the School District of Janesville website. Go to “quick links”, “Calendars, and click on “2019-2020 School Year”. 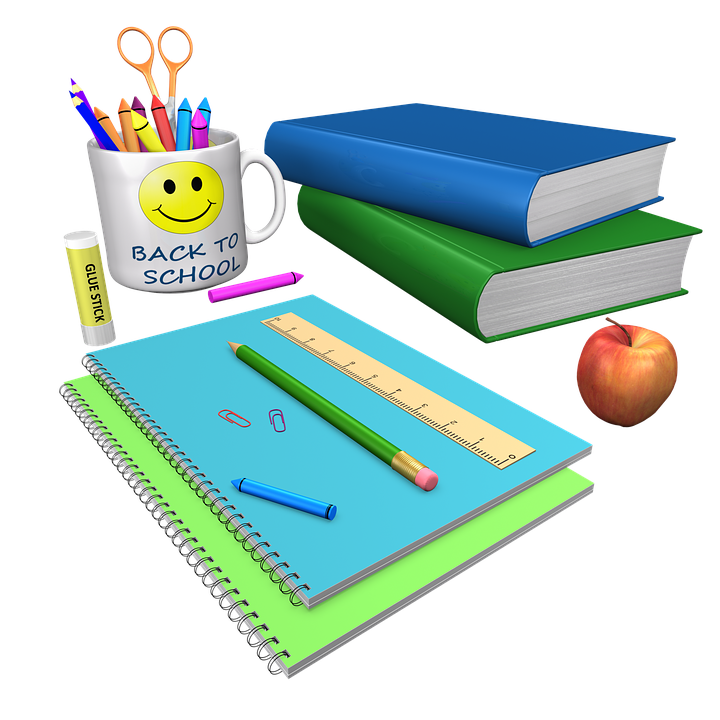 Link for the 2019-2020 School District Calendar The elementary school day will be: 8:20 a.m. - 3:08 p.m. Thank you for supporting Harrison at our Culver’s Scoopie Night. February Scoopie Night raised $598.78. Our last Scoopie night will be Tuesday, March 26, 2019. If during the school year, you move outside the School District of Janesville and you wish to remain at your current school please contact the Open Enrollment Specialist at 743-5152 and request a tuition waiver form within two weeks of your move. This will allow you to be eligible to attend your current school for the remainder of the current year tuition free. To continue attending the School District of Janesville after the 2018-2019 school year, you will also need to complete an open enrollment application. Application instructions are provided to the School District of Janesville by the Department of Public Instruction (DPI) and should be available by late January 2019. This year applications will be accepted February 4 – April 30, 2019. If you have questions regarding Open Enrollment or Public School Choice, please contact the Open Enrollment Specialist at 743-5152.